The Mason 4" Balanced Cushion provides a high level of pressure care using a hand pump to adjust the cushions air level. The cushions air level can be adjusted to suit the individuals requirements and comfort. 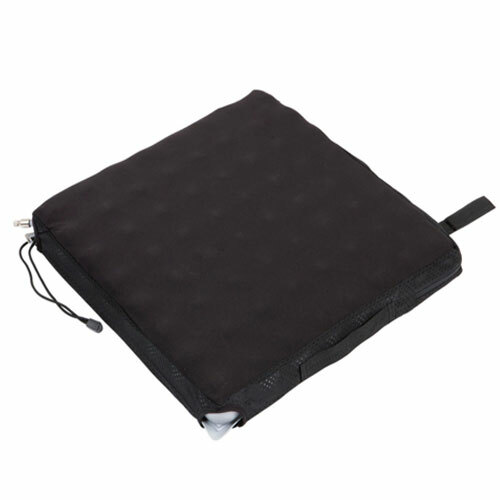 The cushion provides a high level of pressure care using a hand pump to adjust the cushions air level. The cushions air level can be adjusted to suit the individuals requirements and comfort. The cushion is water resistant, has a low shear stretch cover and has adjustable locking straps. The hand pump is simple and easy to use.